Chronic Travel Bug: Road Trip Edition! – Do I Look Sick? Chronic Travel Bug: Road Trip Edition! I just got back from my husband and I’s first road trip! We had a BLAST and I can’t wait to tell you all about it. We saw so many amazing things across the 4 states we visited (technically 5, but we didn’t stop in Mississippi at all). Each state deserves it’s own post, so for now I just want to talk about road trips overall, and how to manage one if you have a chronic illness. 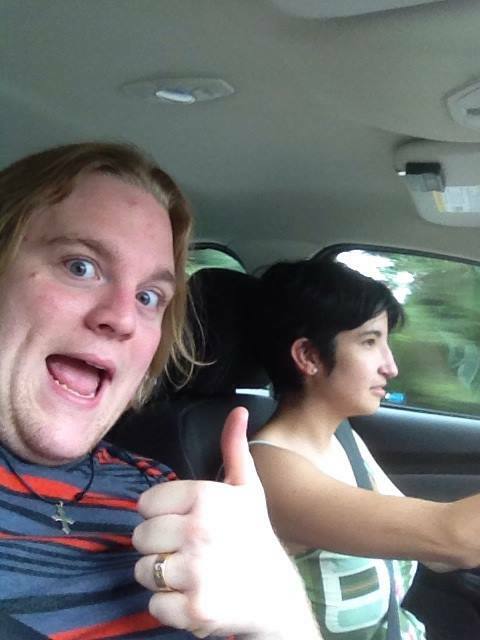 My manfolk taught me how to use cruise control like a boss, and it was super cool. My car was magic and ran all by itself! After arriving at our destination, we had a chat about cruise control with our friends in Georgia, who you’ll hear all about later. 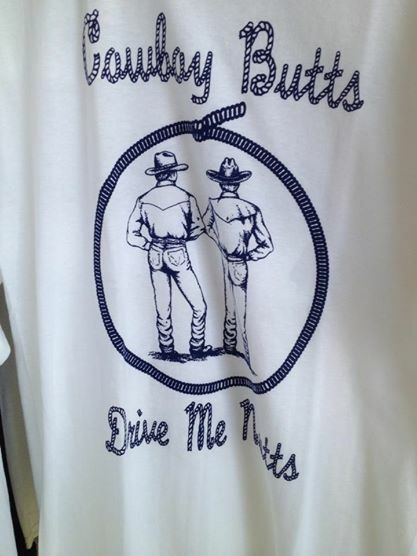 Gary said that he thinks it’s better to drive without it because that keeps you more engaged in the act of driving. I see the merit of that argument, but I side with his wife Lynisa who brought up that sometimes her ankle cramps up if she’s on the pedal too long. I found it much easier on my legs to use cruise control, but find what works best for you. Be sure to also pack lots of snacks of many varieties – that’ll keep you from spending too much money at rest stops. We didn’t pack drinks, and we really should have. It’s amazing how thirsty you get just being in the car all day. I guess it’s not like you’d need less water sitting in the car than you do sitting at work, but you don’t really think of it like that. So we just HAD to get Rooster Boosters from QT every chance we got. But after day 1, I slowed down on the caffeine intake, haha. I’m usually good about not drinking too much, so the sudden influx caused some MAJOR headaches. This brings me to another good tip for anyone doing a road trip – bring extra cash, and budget extra money for spending. Part of the fun of a road trip is getting to explore. You can (and should) plan most of the trip, but allow time to run across something new and try it. You’ll find a restaurant you’ve got to try or a tour in the back roads you must explore, and the last thing you want is to get there and be unable to check it out because you didn’t budget for it specifically. Extra cash is good because you’ll probably end up paying for parking when you don’t know where to park for free. In short – extra budget = relaxation, adventure, and no stress. 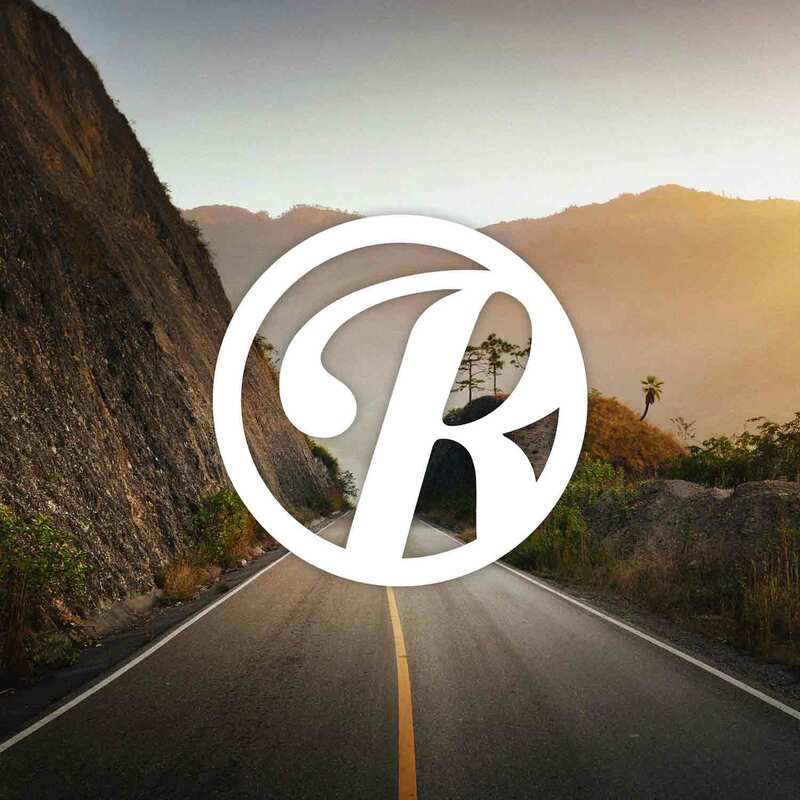 Another great tip – check out the Roadtrippers app. We still relied heavily on google maps for actual directions on the road, but having your entire trip saved on a map is essential. You’ll flip back to it all the time while you navigate. Plus it’s awesome for finding nearby attractions and toursity things to see and do. I highly recommend checking it out. Another great planning tool is Cost to Drive. This was actually the website that sparked this entire trip. My pal Gary, who you’ll meet in later posts, is in the military and jokingly said we needed to come up to meet his family. I typed in his address on Cost to Drive after seeing it on Pinterest and saw that it was actually VERY affordable – so we saved up a little each month for about six months, and we were set to go! Clearly, your smart phone will be indispensable on your road trip. BE SURE you have a way to charge it – maps eat up battery, so if you don’t have a car charger, get one. The last thing you want is to get stranded without your map. 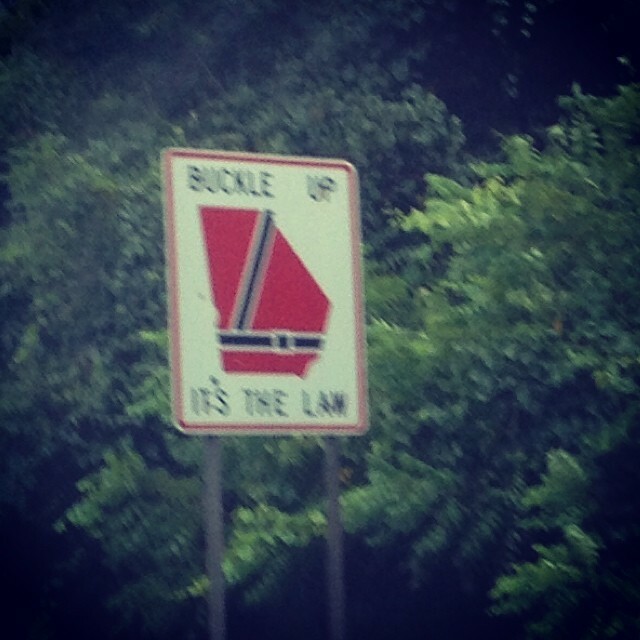 Also be sure to keep your camera handy, because there are some hilarious road signs out there. Seriously, tell me that doesn’t look like Santa. 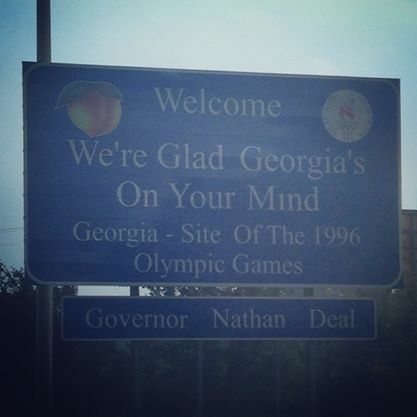 …ok I’m sorry Georgia, your sign is a little more serious than Arkansas’s. 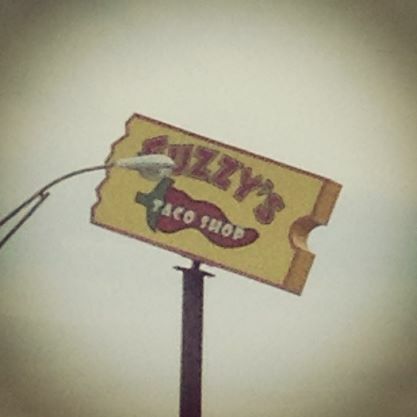 A Fuzzy’s has built upon the ruins of a forgotten world. Take your camera into the gas stations, too, because there’s some hilarity to be found there, too. 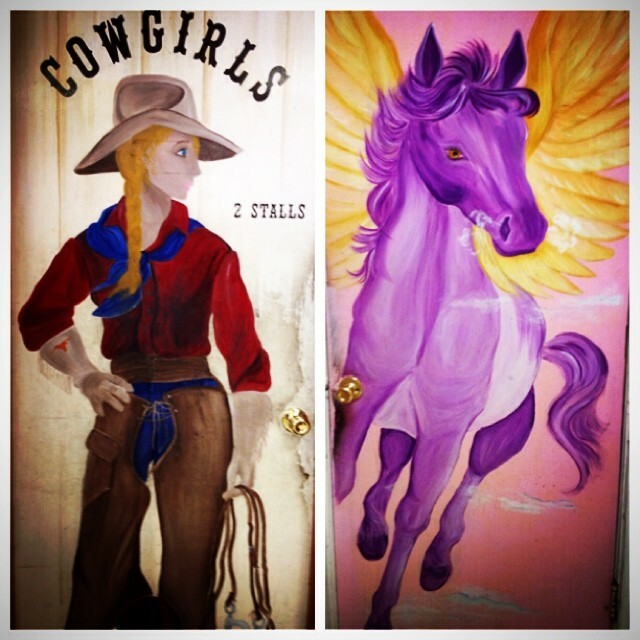 That’s the front and back of the door to the ladies room. Didn’t see that one coming. Overall, I did very well on this trip. Long stints in the car made for forced breaks, so I never really exerted myself too much. Hubby and I did get stiff and sore from the long legs of the journey, but it wasn’t too bad. Now, IBS is never a good travel buddy, and this trip was no exception. We only had actual fast food in the car once, but it was one times too many. The greasy food was enough to wreak havoc on my poor tummy, but that’s not the only problem. I’ve talked before about the value of “eating gracefully,” and it really makes a huge difference. I ate quite a few things I probably shouldn’t have, but sitting down in a restaurant to eat made it much easier to eat the naughty foods. Eating something bad on the run? The added stress/rushing made it a thousand times worse. Find a place to sit down and relax while you eat, and if you HAVE to eat in the car, eat healthy. Resist the McDonalds – RESIST IT. On that note, I’m starving and I have a fancy organic pizza to eat so I’m signing off for now. I’ll be back soon with my must-sees in each state, along with a response to some of the amazing backlash and drama this site has recently incurred – yes, my sweets! I did notice. But I try not to let it get me down. Hugs and kisses till next time! Previous Are you living with or in spite of chronic illness? I definitely agree about taking your own snacks! I do much better that way! You and your husband looked like you were having lots of fun! (Sorry it sounds like you’ve had some negativity going on around here? So sorry!) Glad the trip overall went well! I like road trips. 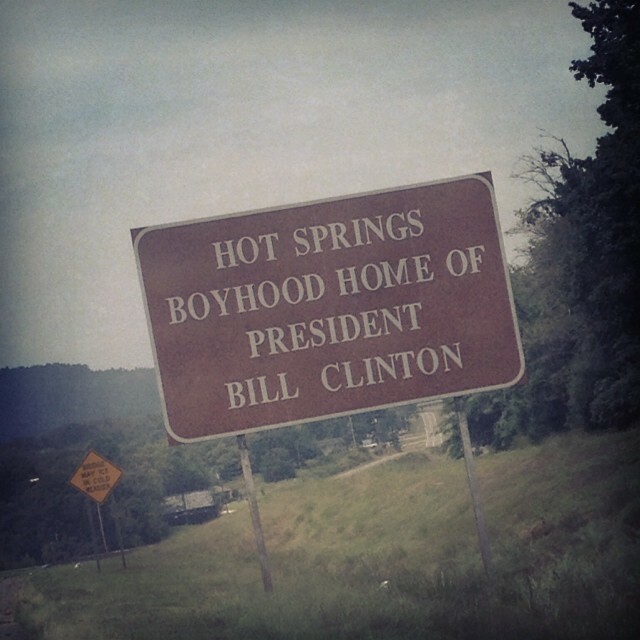 Many times we would see one of those big brown tourist signs and wonder what it was. We would take an unplanned exit and discover something new. Some road trips were tightly scheduled but we really like the ones that give us the freedom to explore the unknown. That was my favorite part too. Next time I’ll def work in a bit more freedom to our schedule.